The Draeger range of Composite Cylinders (CCs) are manufactured from high performance lightweight materials and leading edge technology. They are suitable for use in hazardous situations where the presence of toxic gases makes breathing impossible without safety equipment. Through years of research, field-testing and investment, Draeger have continuously sought to improve their range of lightweight carbon CCs, providing high quality carrying systems, pneumatics and superb performance. These CCs are manufactured and tested using state of the art computer processes and technology. Auto data collection provides full traceability of materials and proper monitoring of critical processes. The cylinders are made from seamless AA6061 aluminum liners, wrapped with a shield of carbon and glass fibers in a epoxy matrix, using a 4 axis automated wrapping machine in completely computer controlled process. The layers ensure abrasion protection and a last gel coating on the surface makes the cylinder smoother and easier to clean. 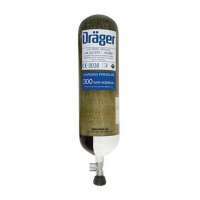 All Draeger's CCs are tested thoroughly in accordance to (EN 12245 and 97/23/EC) standards. Relevant production data is stored electronically and available any time to the public. A low cost high standard range of steel cylinders is available for the marine industry. The selection of volume ranges start from 2l short duration up to 9l with the same choice of valves for Draeger's cylinders. Supported pressures are 200-300 bar. Final assembly is PED certified. 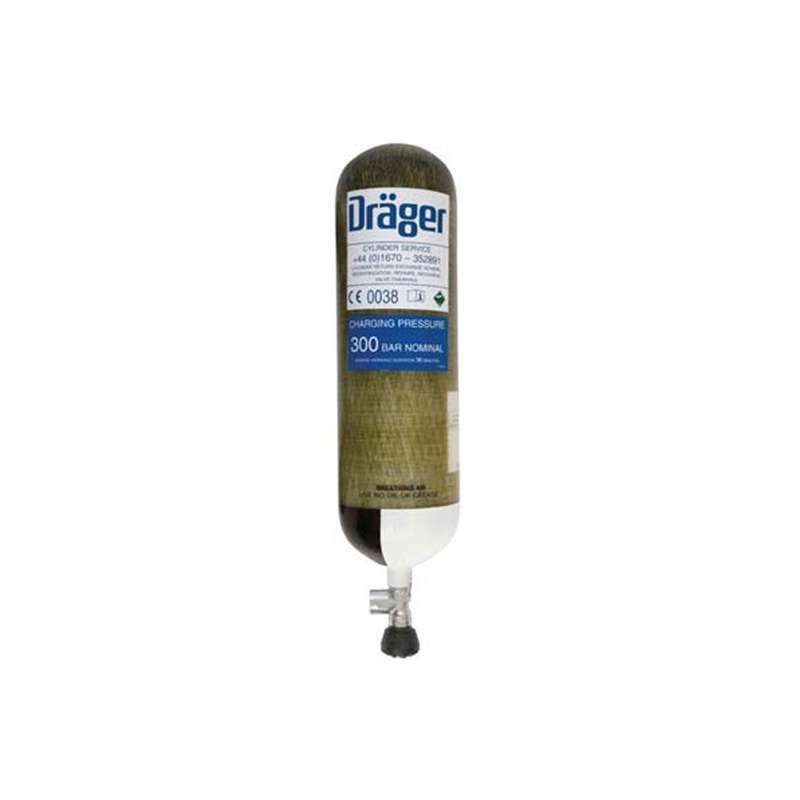 Twin Pack cylinders are available designed for use with Draeger's professional range of accessories. Drager's valved cylinder assemblies are certified and in compliance with the European Pressure Equipment Directive and PED (BS EN 1964-1:1999). A variety of cylinder valves are available for use with breathing devices in accordance to EN 144-1 and EN 144-2. Uncontrolled flow from accidental opening is limited by an optional-excess flow valve, which can be manually switched by the user. A single-valve activation and a ratchet prevent accidental valve closure in accordance to EN 137. Draeger's range of products is subject to approved international standards, ensuring their reliability and safety in hazardous situations. (BS EN ISO 9001:2000 quality system, EN12245: 2002 - module combination B+D). European variants are CE marked and within the guidance of Pressure Equipment Directive 97/23 EC and EN 12245:2002.